On Wednesday, the archives will open its new "Records of Rights'' permanent exhibit in an expanded museum space on the National Mall. Philanthropist David Rubenstein donated $13.5 million to fund the project, along with funds from Congress. Rubenstein also is loaning the 1297 copy of Magna Carta to the archives. 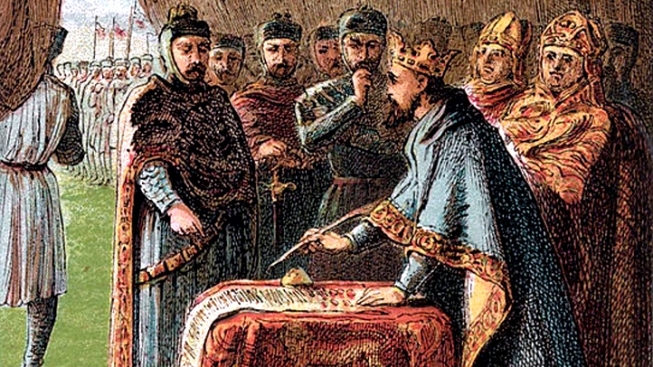 Magna Carta was the first English charter to directly challenge the monarchy's authority. It became a precedent for the concept of freedom under law as envisioned by America's founding fathers. The historic document will be surrounded with documents and images exploring the evolution of citizenship, equality and free speech.